An opinion of a property’s sales price, after adjustments have been made to account for differences between it and another comparable property. A calculation used to determine an individual’s likelihood of being able to meet the obligations of a mortgage for a particular property. Takes into account the down payment, closing costs and on-going mortgage payments. A form used to apply for a mortgage loan that details a potential borrower’s income, debt, savings and other information used to determine credit worthiness. A ”defensible” and carefully documented opinion of value. Most commonly derived using recent sales of comparable properties by a licensed, professional appraiser. An independent board of the APPRAISAL FOUNDATION, which writes, amends, and interprets USPAP. The ASB is composed of up to seven appraisers appointed by the Foundation’s Board of Trustees. The ASB holds public meetings throughout the year to interpret and amend USPAP. The comparative relationship of a property’s assessed value to its market value. 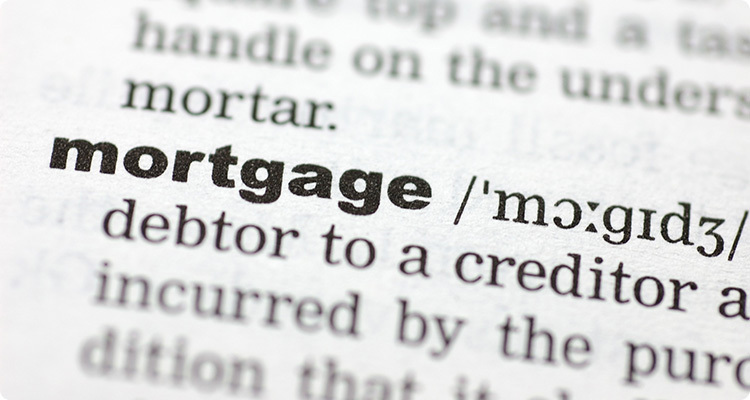 When a buyer takes over, or “assumes” the sellers mortgage. A mortgage where you make “half payments” every two weeks, rather than one payment per month. This results in making the equivalent of 13 monthly payments per year, rather than 12, significantly reducing the time it takes to pay off a thirty year mortgage. An interim loan made to facilitate the purchase of a new home before the buyer’s current residence sells and its equity is available to fund the new purchase. Literally translated: ”Let the buyer beware.” A common business tenet whereby the buyer is responsible for verifying any and all claims by the seller of property. An index based on the interest rate of six month CD’s. Used to set interest rates on some Adjustable Rate Mortgages. A torturous process designed to induce cramping in a home buyer’s hands by requiring signature on countless pieces of documentation that nobody has ever read. Or, the process whereby the sale of a property is consummated with the buyer completing all applicable documentation, including signing the mortgage obligation and paying all appropriate costs associated with the sale (CLOSING COSTS). A situation where a person’s employer pays all or some of the expenses associated with moving from one location to another, usually over a substantial distance. Relocation expenses often include the amounts, such as brokerage fees, incurred in the selling and buying of the employee’s primary residence. The subjective, estimated age of a property based on its condition, rather than the actual time since it was built. Excessive wear and tear can cause a property’s effective age to be greater than its actual age. An efficiency rating system for air conditioning units that corresponds to the number of BTU’s output per watt of electricity used. A ”barn-like” roof, where the upper portion of the roof is less-steeply angled than the lower part. An official court decision. If the judgment requires payment from one party to another, the court may put a lien against the payee’s property as collateral. A type of property ”ownership” where the buyer actually has a long-term lease on the property. A person’s outstanding debt obligations. A person that “sells” loans, representing the lender to the borrower, and the borrower to the lender. Once known as ”mobile homes,” manufactured housing is any building which has been constructed off site, then moved onto a piece of real property. An umbrella organization that is made up of multiple, smaller home owner’s associations. Often found in very large developments or condominium projects. A loan with no “points”. The interest rate on such a loan will be higher than a loan with points paid. Also sometimes refers to a refinance loan where closing costs are included in the loan. A coordinated, real estate development where common areas are shared and maintained by an owner’s association or other entity. Two ratios used in determining credit worthiness for a mortgage loan. One is the ratio of a borrower’s monthly housing costs to monthly income. The other is a ratio of all monthly debt to monthly income. A vertical framing piece in a wall, generally 2×4 lumber in interior walls. The successor to the Veteran’s Administration, this government agency is responsible for ensuring the rights and welfare of our nation’s veterans and their dependents. Among other duties, the VA insures home loans made to veterans.